There is no doubt that Walmart is facing significant challenges from Amazon. But some of their most recent actions are signaling that they are up for the fight. “We’re changing. We’re adapting. We continue to transform,” chief executive Doug McMillon told investors at Walmart’s annual investor gathering on Tuesday. The strategy involves two main aspects: additional grocery options for its base of low- and middle-income shoppers as well as acquisition of higher end brand names like Bonobos and Modcloth to draw a higher income shopper to visit its stores. And the plan seems to be working. Grocery sales growth is at a nine-year high. Walmart’s online sales are expected to grow 40% this year, and the company said Tuesday that digital growth will expand by 35% in 2019. As Amazon emerged as a go-to for basically everything, it became obvious that brick and mortar stores were a significant financial disadvantage for mass retailers. However, Walmart has finally realized that their stores could provide a significant advantage over the online-only presence of Amazon. Amazon has recently dipped its toes into the brick and mortar world, with the grand opening of several retail establishments in the United States. It realizes that in some categories, especially grocery, consumers still prefer to actually visit a physical store. 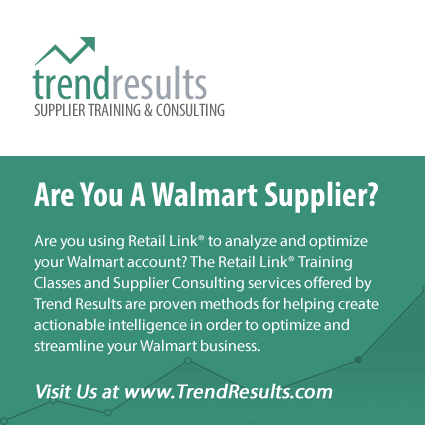 This leaves Walmart with the overwhelming advantage, with its well-established global network of stores and distribution centers. Even with Amazon’s recent acquisition of Whole Foods, there remains a significant gap between the brick and mortar presence of Walmart and Amazon. Groceries are the biggest traffic driver to Walmart’s stores. They make up 56% of its roughly $500 billion in annual sales. Innovations in the grocery game include curbside pickup and omnichannel capabilities. These innovations allow a consumer to order online, have the order fulfilled by a clerk at their local Walmart store, and simply have the order delivered to them in their car in dedicated pickup lanes. Walmart will offer curbside pickup at 3,100 stores by the end of 2019. Walmart’s bread and butter has historically been the low- to middle income consumer. They certainly aren’t planning on abandoning this enormous market, but they are making strides to court the consumer with a bit more disposable income. Historically, the retailer has depending on its own private label brands for certain categories. However, with this new initiative the company is buying brands like Bonobos and online specialty stores such as Moosejaw, Hayneedle, and Shoebuy. In October alone, Walmart nabbed plus-size digital brand Eloquii and lingerie retailer Bare Necessities. Couple this with a sleek redesign of both Walmart.com and Jet.com, and it is obvious that Walmart is trying to court the younger Millennial crowd. Chasing Amazon does have its cost, at least in the short term. All of these recent acquisitions have led to revised profit guidance for 2019, citing its $16 billion acquisition of Indian startup, Flipkart. Walmart’s investments to ramp up online will also dent the company’s profit margins. “We expect losses to increase some next year,” CFO Brett Biggs said on Tuesday. The company is far behind Amazon on building out its online shipping capabilities: It operates fewer than 10 dedicated e-commerce facilities, compared to Amazon’s 122 core fulfillment centers, Morgan Stanley’s Gutman noted. The bottom line is this: Walmart is hardly going down without a fight.